Chance is real. Not only is it a cause of societal change, but we as individuals are chance-given characters who discover and build our character in chancy circumstances. Chance is also expressed as coincidence and contingency, expressions which have episodically been of undeniable historical importance. Mattausch asserts the conventional picture of societal change is incorrect. Societal change is not a linear succession with each phase of change replacing its predecessor. Instead, the process is one of accumulative change in which chance plays various roles. Chance, Character, and Change develops the idea of chance, situating it within the history of thought and social change. By focusing strictly on manifestations of chance and of luck that can be seen and explained, Mattausch is able to show how chance acts in the environment of evolution and the social practices that regulate the inheritance of knowledge and technology. This, in turn, steers societal change and how change itself occurs. Chance's role is often characterized as coincidence or contingency, and this automatically is seen as progressive or degenerate. However, Mattausch notes that accumulative change is potentially both progressive as well as decadent. Chance also plays a part in the social aspects of our world--customs, practices, cultures, societies, and politics. 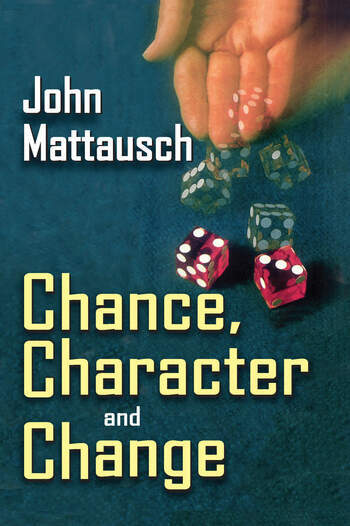 When we act, Mattausch argues, we do not distinguish between good and bad, but rather between determinism and chance; the latter is a test of character, not of free will. This theory is general in its assertions and application, and can be related to many areas of study from economic theory, to human behavior, to politics. The rich texture of the writing and vivid use of examples from daily life and the work of other major thinkers draw in the reader. The most striking aspect of this work is the author's writing style and the way he weaves together evidence, classic research, and contemporary thought. It is skillfully, effectively, beautifully done. 4. A House for Mr. Mandela?